Mesut Ozil’s stunning winner against Ludogorets on Tuesday night has created all sorts of headlines but it has also heaped more misery on Tottenham ahead of Sunday’s north London derby. The Germany international’s solo goal in the 87th minute completed a superb turnaround for the Gunners who came from 2-0 down to win 3-2 and book their place in the knockout stages of the tournament. 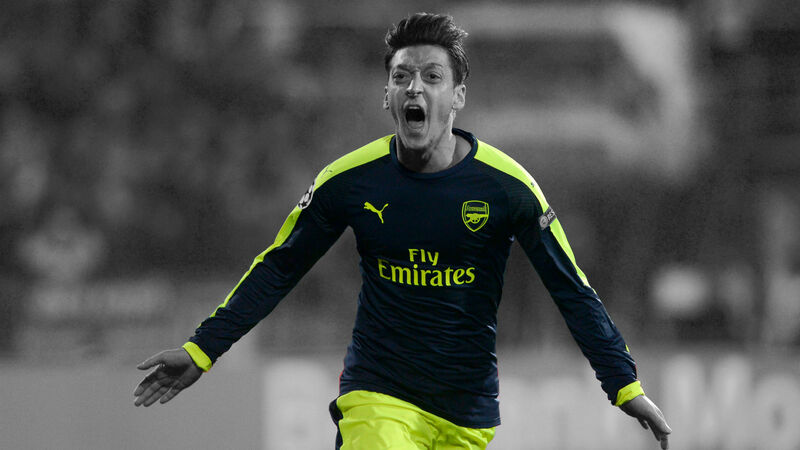 Ozil was at his talismanic best in Ludogorets, flicking the ball around the goalkeeper before leaving two defenders floundering on the turf as he slotted the ball home. The goal was Ozil’s fourth in the competition so far, his other goals also coming against Ludogorets when he bagged his first senior hat-trick during the 6-0 win at the Emirates back in October. In stark contrast, Tottenham have managed just two in four games as they struggle in Group E, meaning Ozil has scored twice as many as Mauricio Pochettino’s entire team in Europe’s top competition. Wednesday night’s defeat to Bayer Leverkusen at Wembley leaves Spurs third in the group with two games left to play, away to group leaders Monaco before a final home game against CSKA Moscow. Pochettino’s men have managed just two goals, a Toby Aldeweireld header in the 2-1 defeat to Monaco and Son Heung-min’s winner against CSKA Moscow. Ozil, meanwhile, now has seven for the season, as many as Dele Alli, Harry Kane and Christian Eriksen combined, and will be hoping to add to his tally against Spurs at the Emirates on Sunday.